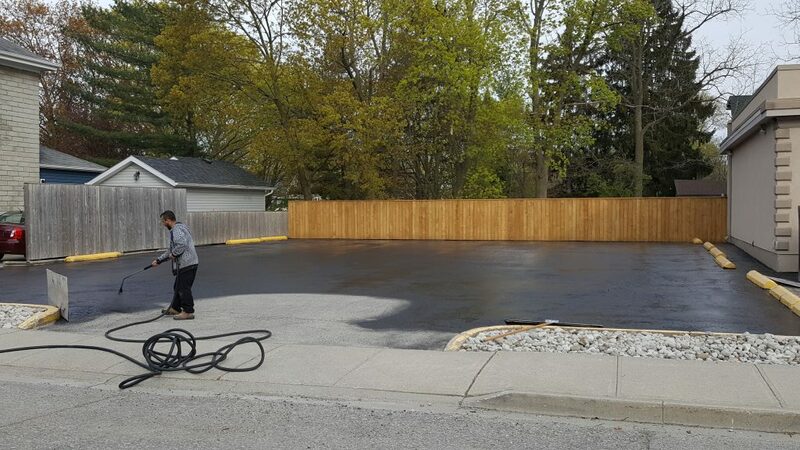 Unlike conventional sealers which require dilution of up to 50% with water we use an exceptionally very unique high-quality performing Polymer modified coal tar pavement sealer. It has a very high solid formula for more durability and strength without dilution. The Polymer Asphalt Sealing produce a coating by mixing special graded aggregate to produce special coating that is applied at 62% solids unlike conventional sealers which are applied at approximately 41% solids. Takes less time to dry than conventional sealers. Exceptional skid resistance in both dry and wet conditions which makes it much safer for the pedestrian and the vehicle traffic. For added adhesion, toughness, flexibility and weather resistance it incorporates the use of tested and proven polymer technology. Polymer has a special coating which makes it exceptionally water-resistant. List Polymer protects from oxidation, moisture, and chemicals. Polymer is the most cost-effective application. It combines elasticity and flexibility giving it a long life compared to any other sealcoating product. For the most cost-effective applications it combines elasticity and flexibility giving it a long life of any sealcoating product and is twice as durable as conventional asphalt pavement sealers available in the market.